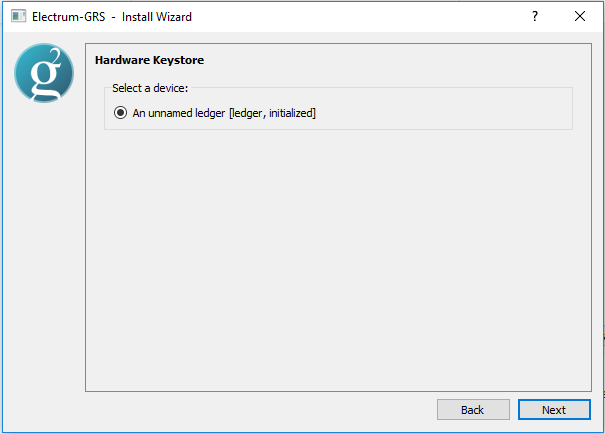 Electrum-GRS (from version 3.2.2) features support for the Ledger device (Linux, Windows, OS X). 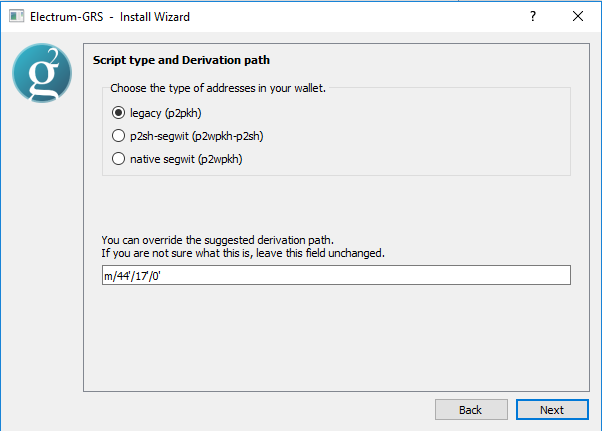 Install the Groestlcoin app on your Ledger device to manage GRS with the Electrum-GRS wallet. Find Groestlcoin in the app catalog. 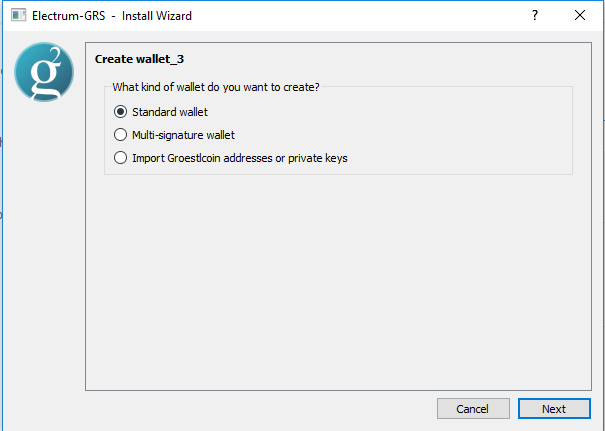 Download for your operating system and install Electrum-GRS from the official site. Windows: run the installer and start Electrum-GRS from the start menu. Mac: open the downloaded .dmg file and move it to your applications folder. Connect your Ledger device to your computer, enter the PIN and select the Groestlcoin app. 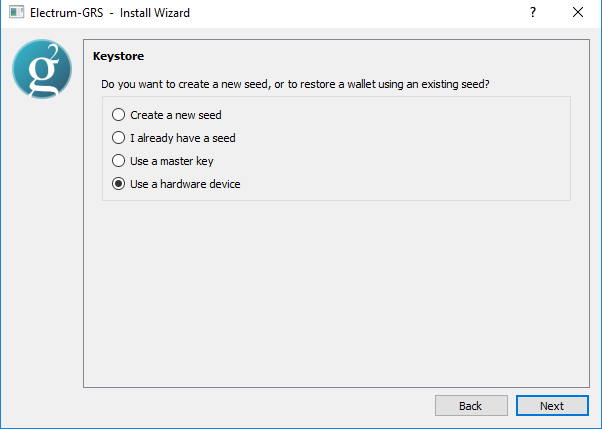 Then select "Use a hardware device"
Press "Next", and "choose the type of addresses in your wallet"
Click on "Next", and Electrum-GRS will synchronize your account. Open the Receive tab. Copy and share the Receiving address with the person or service that will transfer to your account. Make sure you double check the address if you copy and paste it. Enter the recipient address in the Pay to field. Please verify the address when you copy and paste. Enter the Amount to send and select the network fees. Click Send. Check the amount and fees, then confirm by clicking Yes. Verify the amount, receiving address and fees all displayed on your device. If everything is correct, confirm the transaction by pressing the right button to sign it. installation of python2-btchip is required to detect the Ledger device.